Service was fantastic - we did the 5 course menu and it was very flexible so we were able to tailor it to our tastes. The weakest dish was unfortunately the papadelle ragu - the pasta was perfectly al dente but the ragu was bland and lacked flavour. The scallops were outstanding! Everything was beautifully plated and was overall a wonderful way to spend my birthday. Felt it was a bit overpriced and not enough options on the menu. I don't mind paying more for good food, but didn't feel like the dishes I had were outstanding nor good value for money. Food was amazing and sevice was great. The octopus and tagliere with duck were a stand out. Great food and service - strongly recommend it. Great atmosphere. Great service. We did 5 dishes for $69pp, leaving it up to our waiter to decide what we would eat (with the exception of the scallops - we definitely wanted the scallops!). Food was delicious. Will definitely come back! Absolutely amazing in every way. I Will be back. The food is cooked, described and served in a way that shows love and care. Fantastic Service, Fantastic food - ably to try dishes I would not normally have when dining out. Amazing service with sensational food. Every dish was so delicious. Looking forward to visiting again and enjoying the rest of the menu. Great friendly staff very attentive. Bonus got to meet the owner and the head chef. An absolutely decadent venue in Sydney. Amazing food, wine and service. Huge wine menu. Skilled servers and chefs. Our waiter was knowledgable about what wines we should go with. The food was very good! The ambience was perfect. Amazing from start to finish, service was fantastic, friendly and knowledgeable. Great wine and cocktail selection and food was delicious. Thanks for a great night out! Love the food.. love the place, the staff are great. We had the 5 courses but due to lack of service staff, there were delays been the dishes. Food was good, just a bit put off by service. The food & service was awesome. Being from the hospitality industry & measuring my team on their service levels Vs other venues, the team at LOT.1 were some of the best staff I've ever encountered (OS included). Well done to management & the training team. From the initial greeting, to the bar, through to the dinner service, not to mention the food, I was impressed. Innovative and delicious dishes. Attentive and knowledgeable service. Tasting menu is a bargain and a great way to try more than one dish. The night did not start well when the restaurant sat us 30 minutes after our reservation time. They were very nice though when they comped us some drinks. We would rather spend $85 on an amazing steak at Rockpool rather than an average steak here. The waitress also did not disclose the price of the steak when we ordered. Not good value for money and will not be coming back. The night left a bad taste in my mouth and it's not just because of the food. Food was outstanding, service was amazing and the cocktails were the best I have had. Service was one of the best I ever received. Food was acceptable but very expensive so overall, it wasn't a place to visit again. 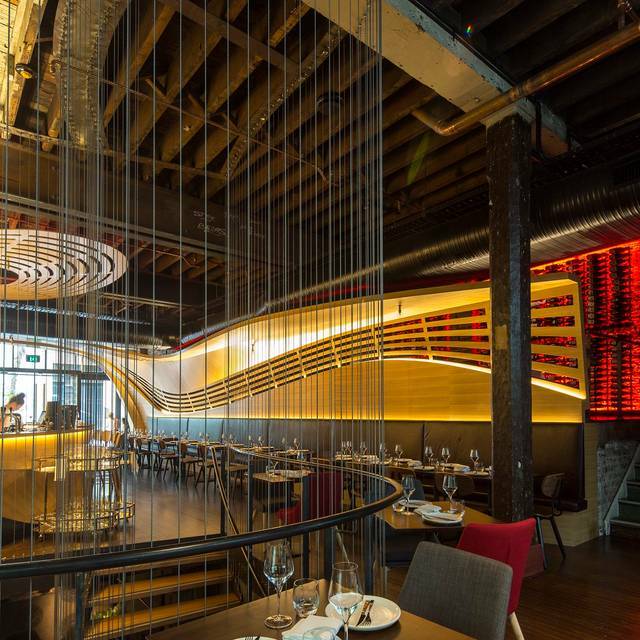 Restaurant was great, beautiful interior fit-out, fabulous service. We had the 5 course degustation which was just beautiful. Extremely friendly and efficient and helpful waiters and waitresses. 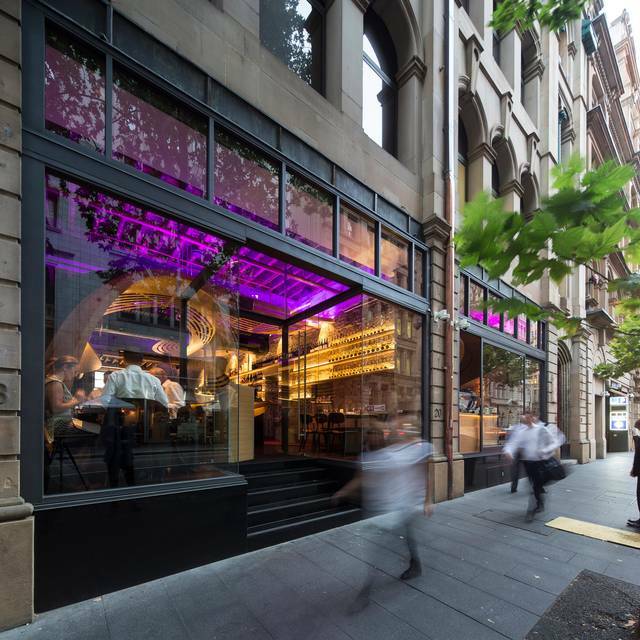 A fabulous new restaurant for Sydney. Fantastic night, the food was amazing. So fresh and clean tasting and staying true to Italian flavours. Ambience was beautiful and staff were so friendly and attentive. Would love to visit again and try more dishes from the menu. We had a nice business lunch and the polenta chips and duck were excellent. Service was very good and the décor is impressive. Would like to try out one of the bars in the evening. Keine volle Punktzahl, weil Wasser (gefiltertes Leitungswasser) berechnet wurde ($12) das ist unüblich in Australien. Ansonsten sehr gut. Really Nice and delicate... friendly service ! Disappointing dinner in Sydney. Starting with very pushy waiter, telling us we should let him order for us. We've done tasting menus in the worlds finest restaurants, but always get to see what is on the menu first. He insisted he pick our food. Why give us a menus then? Once we placed our orders ourselves, he showed obvious disappointment. Strange. Dinner was a average - pork belly, with semi raw fat, bland short ribs and no vegetables on any of the plates. The polenta chips were good. We finished dinner, sat for 5 minutes waiting to be cleared and to be presented the desert menu. Nothing... I caught the hostess, asking for a desert menu and she said ok. A few minutes later I see her standing at the hostess stand, with us staring at a table full of plates and no desert menus. Several minutes go by and I ask an apparent manager walking by to bring the credit card machine, so I could get the heck out of there. It seems that this place is needlessly pretentious. If that's your kind of thing, you'll love it. The food was good but service ok & the ambience was terrible. We were seated at the back near the food service. Chefs normally clap to unobtrusively get the attention of the service staff. These guys failed that miserably. Each clap sounded a like a jack hammer and to make matters worse, the service staff didn't arrive promptly so the frantic clapping continued. If you do book here, make sure you ask for a table away from the back. Outstanding food at the best Italian Restaurant in Sydney!!! 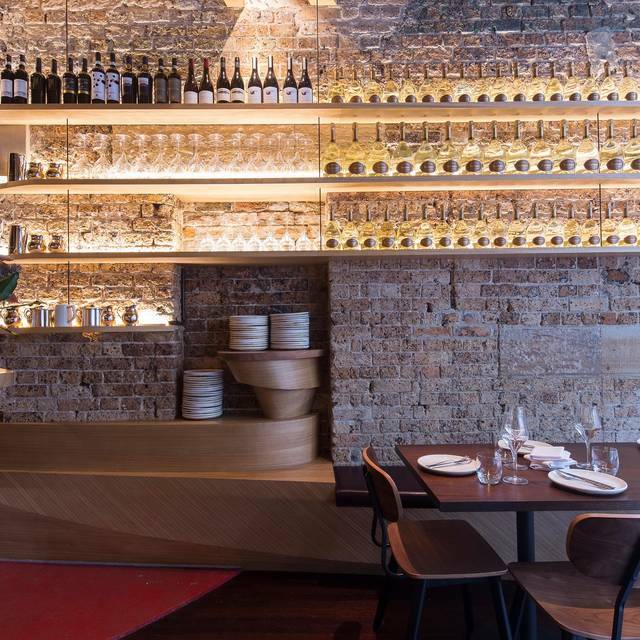 We were completely blown away with the whole dining experience from the time we entered the restaurant with its New York style fit out, to the outstanding level of service from the staff and their knowledge of the wine and food. However it was food that took it to another level. The food was simply exquisite!!! Each dish was as good if not better than the last so it was hard to pick a favourite. If I had to it was the yellow fin tuna sashimi style with veal, capers & horseradish. I loved the idea of sharing that way we sampled many dishes off the menu. The food I would describe as having modern twists on Italian dishes you would be familiar with but taken to whole new levels!!! I highly recommend Lot 1 for that special occasion, a memorable night or if you just want exquisite food in amazing surroundings with beautiful and knowledgeable staff who go that extra mile!!! Else go downstairs to The Basement for amazing drinks where we started our night. I look forward to a return visit soon!!! The service, food and venue are all outstanding. This is a great place to have a business lunch or a great dinner - it is a must visit! 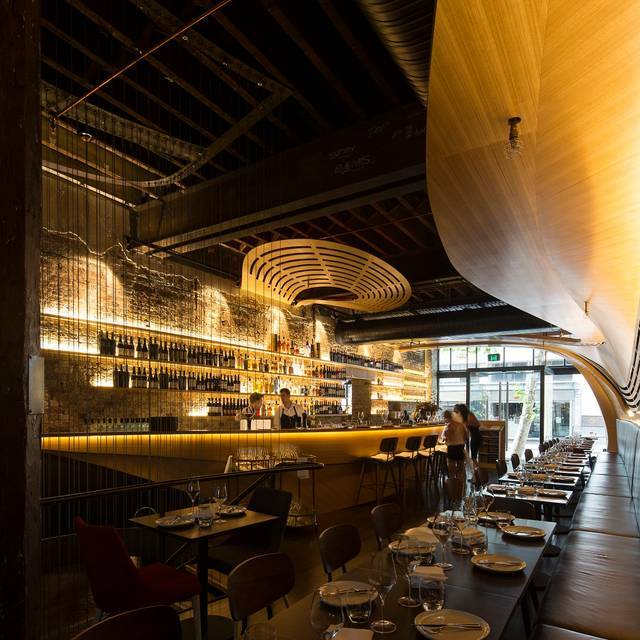 Great restaurant with excellent food and service, with superb architecture and design. Staff were very eager and worked hard to offer a fantastic service , but lacked a little confidence knowledge and experience at times. The food was excellent and I have only one issue with it. The mains were quite small so we were still quite hungry after we ate. Outstanding service and creative yet tasty dishes! Highly recommend this place! The decor and service was outstanding. Staff were amazing, so attentive. I thought it was overpriced for what you got, we left hungry and grabbed a burger from McDonalds. What we did get however was delicious, maybe just not our thing where you pay $150 a head and leave hungry. Could not fault anything else. The place is quite pricey for the food they are serving. The food was not outstanding for me to pay for such price. If it wasn't for the entertainment book discount I probably would not go there again. I first heard about Lot 1 on Instagram and booked it to celebrate a special friend's birthday. The three of us who dined have enjoyed stunning meals all over the world together and regularly dine at Sydney hot spots. I booked Lot 1 as it was a special occasion and we wanted to try somewhere new, also because the reviews for not only the food, but also the SERVICE had been fantastic. To say we were stunned by the presentation and taste of everything we ordered is an understatement. Our little eyes boggled from the moment our scallops arrived topped with a delicate foam right through to the arrival of the re-imagined tiramisu we ordered for dessert. We agreed that this was one of the most special, surprising and delightful meals we'd had in Sydney for quite some time. And the service. Absolutely spot on. We felt cared for, appreciated and welcomed. And the margaritas at the bar downstairs...as well as the complimentary tapas...were perfect. So much so that I returned the following night with another friend for a few drinks and a light snack. This place is sensational and the architecture is gorgeous, it's perfect for a casual dinner, a special occasion or a romantic rendezvous. Thank you all for making it a night to remember. We'll be back and definitely spreading the word!